Every time Scorsese releases a movie it's a reason to celebrate. While capturing the magic of Taxi Driver, Raging Bull or Goodfellas has not exactly been struck again, his movies remain essential viewing. 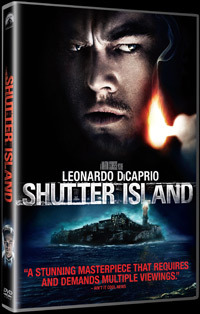 Here a special agent arrives at an isolated island with his partner, to investigate a missing person. But things seem strange from the offset. Slowly he is drawn into a deep dark mystery which he may not be able to solve as the threat steadily grows. Scorsese and DiCaprio (his new DeNiro) can hardly fail to deliver an intriguing slice of cine, and is well worth the view.